Eight dead following a triple terrorist attack in Israel's southern region. IDF soldiers killed several terrorists and search for others. Magen David Adom (MDA) has declared a mass casualty event and the State of Israel has moved to its highest security alert nationwide as hospitals report that five are dead following terror attacks that struck the country's southern region midday Thursday. At Yoseftal Medical Center, 29 casualties were admitted with a range of injuries, including severe trauma. Seven of the most critically wounded were sent by medical helicopter to Soroka Medical Center in Be'er Sheva. 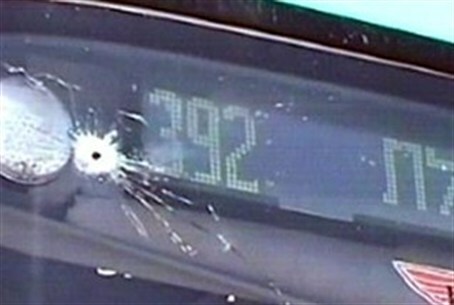 In the first attack, three terrorists ambushed bus # 392 about 30 kilometers from Eilat as it traveled on Route 12 from Be'er Sheva towards the city, opening fire with automatic weapons. Most of the passengers in the first bus were IDF soldiers heading to the Red Sea resort city on leave. The troops engaged the terrorists in a shootout, killing at least two of the three operatives and leaving a third critically injured. An IDF military vehicle was blown up as it raced to the scene, driving over an explosive device planted on the narrow road, killing the car's occupants.